Xiaomi Phones may be good or bad but they’re doing a brilliant job with accessories department. Xiaomi deals almost every section from fitness band to power bank to smart home products. They even launch an Electric Bicycle in China. After huge success with Mi Band, they recently launched the next generation of fitness band in China called Mi Band 2. Through a few months ago they also launched the Mi Band 1S which is almost same as Mi Band 1 but just comes up with heart rate sensor. I imported the Mi Band 2 from china and here is my Xiaomi Mi Band 2 Review. Mi Band 2 box is almost same as Mi Band 1 & 1S. In the box, you’ll get Mi Band 2, Silicon Band, Charging cable and user manual. Mi Band 2 bracelet dimension is bigger than the previous generation. It carries same plastic body all around with low powered OLED display on top with a capacitive touch button. 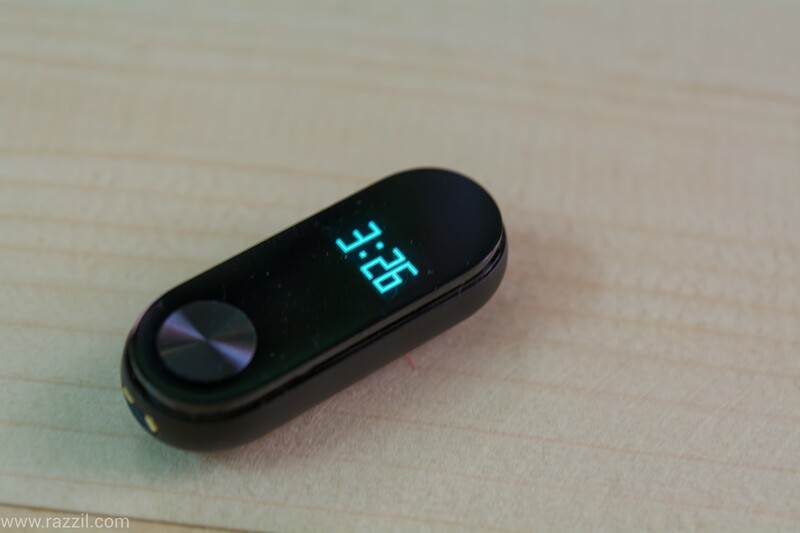 On the bottom of the device, you’ll find the Heart rate sensor with green led light. Under the hood, the new Mi Band 2 is using Apple Power Management Supplier 2nd-generation Bluetooth 4.0 chip. 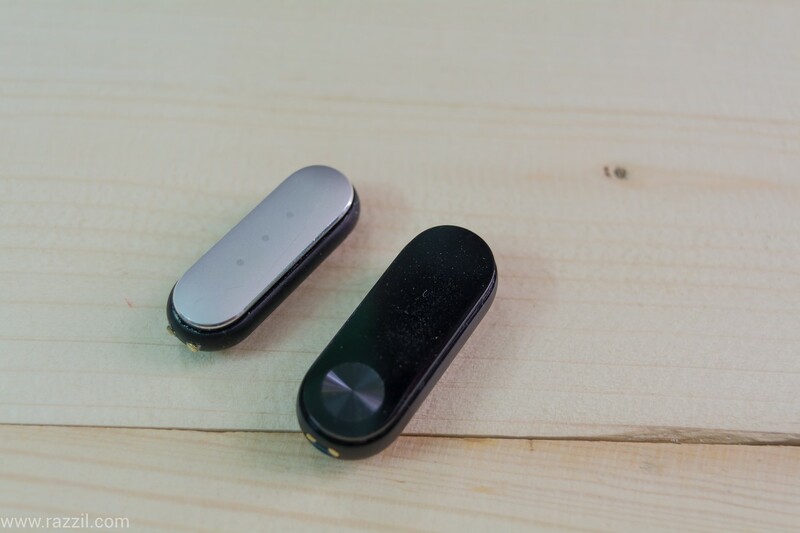 The 2nd-Gen Bluetooth 4.0 provide longer battery life and more stable data transmission. Xiaomi also using lightweight lithium polymer 70 mAh battery which is giving me awesome battery life. We’ll discuss this later in below. The company also claimed that they’re using new core component of the acceleration sensor and heart rate sensor. 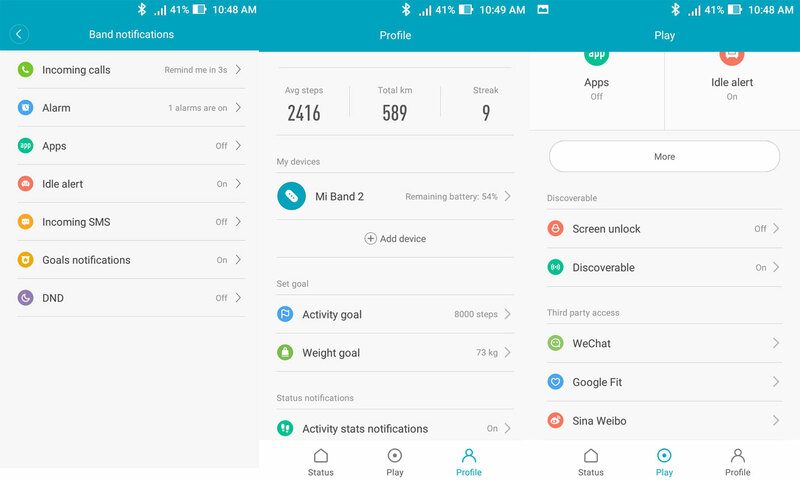 Mi Band 2 sports new pedometer hardware and improved algorithm. The new algorithm great improved the accuracy count. The huge improve comes in sleeping time calculator. Now it’s work more precisely and accurately tracking my special Euro 2016 & Ramazan timing, Where I’ve to wake in the midnight for match & Ramazan sehri. In Previous gen, the Band either tracked before the sehri time or after the sehri sleep time. This problem is gone in Mi Band 2 thanks to new improved the Sleep tracker algorithm. To view your data you can either use touch button on the display which will show the time, steps count, distance, heart rate count and battery life or for detailed data. 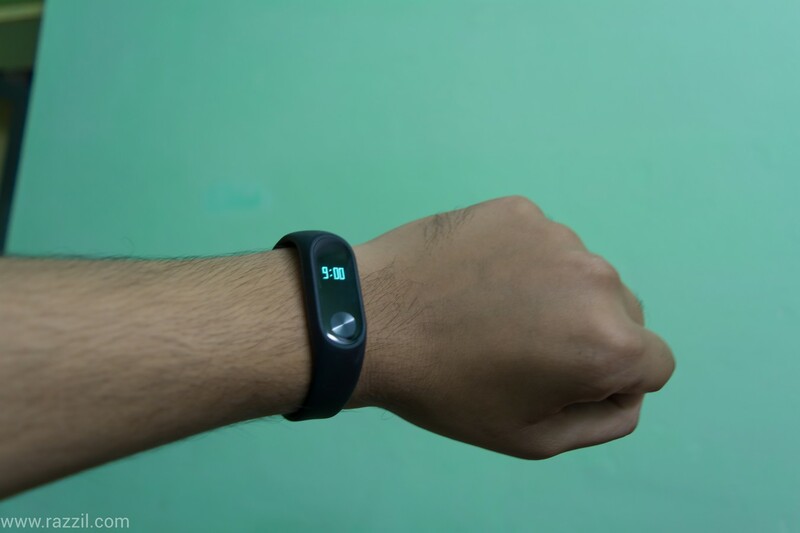 You can download the Mi Fit app from Play Store and it uses Bluetooth to transfer data from the band. In Mi Fit app, you can see the detailed result of your daily life and also control the features of Mi Band 2 from the app. The app also saves your fitness data to the cloud and also to Google Fit app. From the app, you can change the button functionality for e.g what you want to show on the display can be configured from the app. You can always on the Bluetooth on the phone and you’ll receive call, SMS & app notification straight to the band in the form of vibration. The display will show the icon from which you can see whether it’s SMS, call or app notification. Mi Band 2 can also be used as trusted ID. In this, if your Band is near your phone, it won’t ask the lock screen password or pattern. It’ll simply unlock it for you. Idle Alert: The Mi Band 2 automatically monitor our active status whether your running or sedentary state. If you sitting more than 1hour, then Band will send vibrate alert to remind you to go for short walking or do some exercise. Running ring: When you go for running, the band send the reminder with maximum heart rate combined with speed and movement of the hand. I got this device on 17th June and on that I fully charged the device. And today at the time of writing i.e 2nd July, the 54% battery life is still left. With this speed, I can say that Mi Band 2 battery life will last long for 30 to 32 days. And if you’re regularly connecting the band with the phone then battery life will further reduce. During these days, I used almost every feature including the daily alarm. Mi Band 2 is the perfect device and it eliminates all shortcomings of Mi Band 1. The OLED display is bright and can be seen in bright sunshine. The Bracelet and silicon band quality are top notch. Xiaomi used the skin-friendly, breathable anti-sweat material. The strap is stronger and softer than previous gen strap. If you’re looking to buy fitness band then go for Mi Band 2. 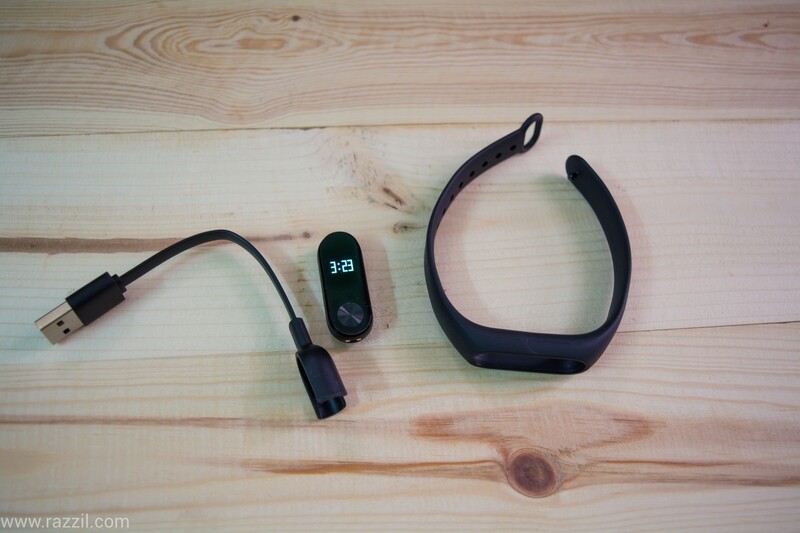 It’s perfect, brilliant build quality, heart rate sensor, the display which also show time and $23 price tag. Mi Band 2 is the perfect device and it eliminate all shortcomings of Mi Band 1. The OLED display is bright and can be seen in bright sunshine. The Bracelet and silicon band quality is top notch. Xiaomi used the skin-friendly, breathable anti-sweat material. The strap is stronger and softer than previous gen strap. 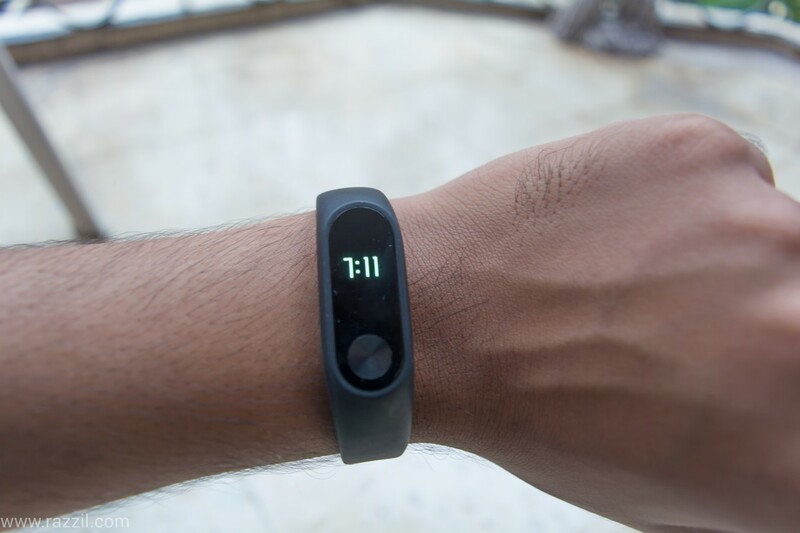 Sir, Can you please advise as to how one can get Mi band 2 in India . Hello, You can order this Band from AliExpress or GearBest site. They deliver freely in India without any Customs duty. Hi Around 20 days, however, Mi Band 2 now officially available in India. You can get the product in 2-3 days at much lower price.